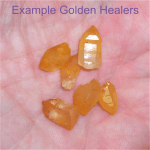 Golden Healers are quartz crystals that are partially or totally covered with a transparent golden-yellow mineral. The coating ranges from iridescent yellow to rusty dark orange, from total coverage to skippy, partial coverage. Often the lightly coated Golden Healers will have rainbow iridescence on the outer layer (like rainbows you see on oil slicks). These points emit an especially high energy. Golden Healer crystals are good for healing and have a soft, bright energy. 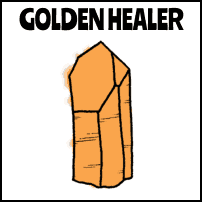 The lightly coated Golden Healers have an enthusiastic and helpful liveliness in their aura. You don’t even have to pick them up to experience this shift. The Golden Healers with a thicker, denser coating have a more serious energy. 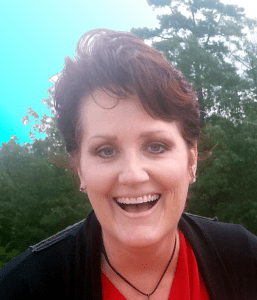 Golden Healers are one good example of very small points having as much or more potential energy as a very large point, ounce for ounce (much as the strength of an ant versus a human). Beautiful earthy Arkansas quartz crystal cluster with points coming out of the base as well as the top. There is a small area of Golden coating.